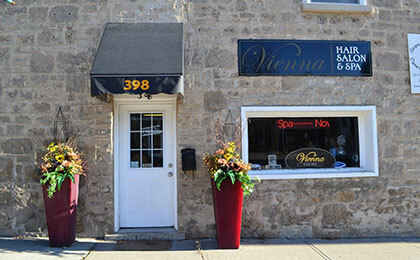 Vienna Hair Salon offers professional hair design and spa treatments in a relaxing atmosphere in downtown Fergus. The dedicated stylist team work with their clients to create a style that enhances their client’s natural beauty and suits their lifestyle. Expanding their spa services, they offer skin and nail treatments, all with a commitment to hygienic practices that ensure clients feel confident in the quality of their services. Vienna Hair Salon & Spa is a welcoming place to treat yourself to something special.